The staff and Dr. Gressock are amazing! They are the most patient-focused group I have come across. I would have noreservations recommending them to everyone. The staff and Dr. Gressock are amazing! They are the most patient-focused group I have come across. I would have no reservations recommending them to everyone. I truly appreciate that Dr. Gressock took time to explain everything in a way that I could understand. 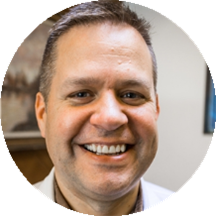 Joseph Gressock is a trusted and reliable ob-gyn caring for the Bayonne, NJ community. Dr. Gressock attended Ohio State University, where he received his medical degree, and completed his residency in obstetrics and gynecology at Saint Vincent's Catholic Medical Center. Dr. Gressock is a part of Care Point Health. Dr. Gressock is board certified in obstetrics & gynecology by the American Board of Obstetrics & Gynecology. Dr. Gressock received the Ohio State University Top 25 Senior Award. Dr. Gressock treats a range of conditions, and he is eager to help the wider community receive the care they deserve. Patients trust his expertise because he consistently provides high quality care that leads to positive and lasting health outcomes. A GOOD DOCTOR., listens to your concerns., takes hi stime, with each and every patient. First time there and it was a wonderful experience. He was very nice very professional and gentle. Really nice and definitely recommend! This was my second time seeing Dr. Gressock for a follow up in a span of three weeks however the receptionist asked for my information again and made me sign more forms, which was odd. Also,this time I had to wait an hour and a half just to talk to doctor for five minutes. Other than that, Dr. Gressock will always be one of my favorite doctors! Personable doctor and straight to the point. My only complaint is that the first appointment was cancelled the day of and I did not receive the voicemail until I had already parked and was at the office. I do receive frequenttext confirmations, confirming appointments, the same practice should also be done for cancellations so that patients do not miss voicemails and text are more secure to receive in real time. It was an inconvenience to get to the office only to discover the appointment had been cancelled. I also needed blood work but the person had just left. Now I have to go back again. As a new patient the blood work should have been done as soon as I walked in while the person was still there. It is now an inconvenience to find a day when I can rush back to the office before they close to get blood work. This is an inconvenience for the typical person who works standard office hours. The doctor asked for blood work and the office never called to give results. Excellent experience. Dr. Gressock was very kind and patient. Great bedside manner. The staff was very friendly and patient. The Dr was friendly, courteous and informative. He makes every effort to ensure you are comfortable. The medical assistant was also very polite. Dr. Gressock was amazing! I had a problem with my old OB/GYN because he was uninformative about my test results, which made me go crazy. But after talking to Dr. Gressock, he put me at ease. He answered all my questions,no matter how somewhat foolish they were. He also explained everything thoroughly, he definitely knew what he was talking about. Will definitely go back there again! The office was clean and the staff was nice especially the girl in the back. She was extremely nice, wished I remembered her name so I can give her well deserved credit. My visit with Joesph Gressock was very good. He made me feel comfortable. I would highly recommend him to others. I needed a local dr and he was great!! I think he will definitely be my Dr moving forward! OMG!!!! AMAZING!! My previous OB/GYN went back to his home so I had no choice but to find a new doctor. Let me just say this is the best experience I’ve ever had with a new GYN. He listens to whatyou have to say and answers all questions. The nurses as well as Dr. Gressock have so much patience. I would definitely recommend him to family and friends. Pretty well, very clean and professional. Answered all my questions and concerns as usual. Receptionist and Assistant are great as well, very sweet and helpful. Overall, I love this doctors office for the past 3 years. Very pleasant visit. Would definitely come back! As a first time patient , I had a great experience, one of the best. Dr. Gressock was very attentive and answered all of my questions. He made it a very comfortable appointment, I would highly recommend him. I am SO glad I choose Dr. Gressock as my OBGYN. Excellent bed side manner, professional and personable! He was the by fair the BEST!! Listened to my concerns without judgement and gave me his professional advice and opinion on whathe thought would be best for me. Great visit and great staff! Awesome doctor! Listened to all my concerns and when it was out of his reach advised me on what I need to do next! Dr Gressock was a delight to visit. I was very nervous as it was my visit to an Ob-Gyn in a very long time but Dr Gressock totally put me at ease. He answered all my questions, listened very well toany concerns I had and gave really good advice. He didn’t make the visit feel any uncomfortable as a male Dr. Jasmine was also very helpful and warm. He’s staff were on top of things and very welcoming. I would visit him again and recommend him to anybody. Thank you Dr Gressock. Nurses were very friendly. Dr. Gressock was very friendly made you feel very comfortable. He took his time and did not rush. Dr. Gressock has a professional and friendly demeanor. He listens to his patients and takes his time, making sure all questions are answered. He is approachable and performs a thorough exam, making me comfortable as a patient to trust his judgment. Highly recommend!! Always a pleasure.. my best Dr yet! Dr.Gressock was the best OB/GYN I have ever been to. He was very friendly and did not rush at all. I am very confident in having him treat me throughout my pregnancy. I would definitely recommend him to anyone. My visit here was amazing very friendly staff, the assistant was great very personable and kind. The doctor himself was very responsive and answered all my questions without hesitation super friendly I will for sure be coming back. I had virtuallyno wait time and was seen at the time of my appointment. All the staff were very kind and the doctor had great bedside manner. It was my first time having a male OB/GYN and I felt very comfortable the entire time. It was a great experience. He listened to everything i said and answered all questions. I was very nervous because it was my first visit with him but it was a great visit after all. Absolutely amazing doctor, was very attentive and very comforting. Would recommend him to anyone. It was straightforward and he made me feel very comfortable the whole time.